Are you an Executor of an Estate? Settling an estate, even a simple one is a very big responsibility. As an executor, your duty is to act in the best interest of the deceased. Handling the affairs, whether they be local or long distance consume an enormous amount of time. Solution: Delegate duties to a professional. As a Realtor, I can help you meet your obligation in a variety of ways. Through the course of business, I have reliable contacts to assist you in general maintenance and repair, liquidation of personal property and property enhancement. My experience in handling all types of real estate sales qualifies me to help you fulfil your final obligation with a sense of honor and pride. You will be able to live up to the trust that was bestowed upon you, without faltering under the weight of what needs to be done. If you are not living near the real estate that needs to be sold, do not worry. Much of the work we do these days is done long distance. 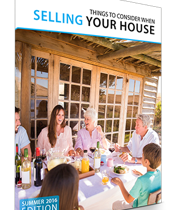 It is not uncommon to never meet the seller of a property. We can manage the process over the telephone, fax and email. If you need photos of the property, I can send you a comprehensive collection of the real estate along with the issues needing to be addressed. From this we can formulate a plan to sell the property "as is" or get bids to repair it. In any event, I, like you, have a fiduciary to act in your best interest. You can be assured I will treat that responsibility with the utmost respect. It’s my job. Are you looking to buy or sell a home? Let me assist you. I will take care of all the important and necessary details while you can attend to moving. My business is helping you make the right decisions, guide you through negotiations, inspections and close on time. When it comes to Denver real estate, I know the territory. 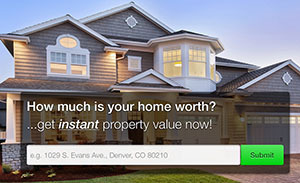 For experienced help with your real estate needs call now...303-589-2022.